Urban Gardens in Toronto: Domestic life in the city is typically a concrete, glass and steel affair with precious little space given over to the greenery that anchors us and sustains our humanity. To compensate for this lack of natural connectedness many homeowners embellish their property with flower beds, trees, shrubs, water features and more. Unfortunately many of these self-styled urban gardens are haphazard affairs lacking thematic unity or even basic organization. But it doesn’t have to be so. If you aspire to something greater and would like to transform your yard into the Versailles of the neighbourhood M&S Architectural can help. Cleaner air – A well designed urban garden with a range of different flora will turn your lot into an oasis of clean, pleasant smelling air. Financial savings – Roof gardens in urban environments produce a cooling effect on the floors below that can result in lower air conditioning costs. Increased property value – As any real estate agent knows green properties are almost always in greater demand than lots devoid of greenery. Reduced noise – Ample greenery has a wonderful ability to muffle sound, another important advantage in an urban area. Enhanced overall health – Regular exposure to greenery has been shown to positively affect mood, attitude and health in general. While most contemporary urban gardens are tailored to the taste of the individual homeowner there are several trends we at M&S Architectural recognize and utilize in various incarnations. Entry garden and courtyard – A long-time favourite among spatially challenged city dwellers the entry garden and courtyard creates an unexpected sanctuary; a buffer zone between the hustle and bustle of the street and the home where guests can meet and greet. Contemporary formal – The “Old World” is leading the way in finding a synthesis between traditional formal garden layouts and the best in contemporary materials. The contemporary formal garden is a hybrid expressing admiration for the past and hope for the future. Cottage garden – Another favourite of the spatially challenged homeowner in the cottage garden where the garden and patio are fused into a single entity. In some cases a pergola is used to host greenery and to provide visual unity. 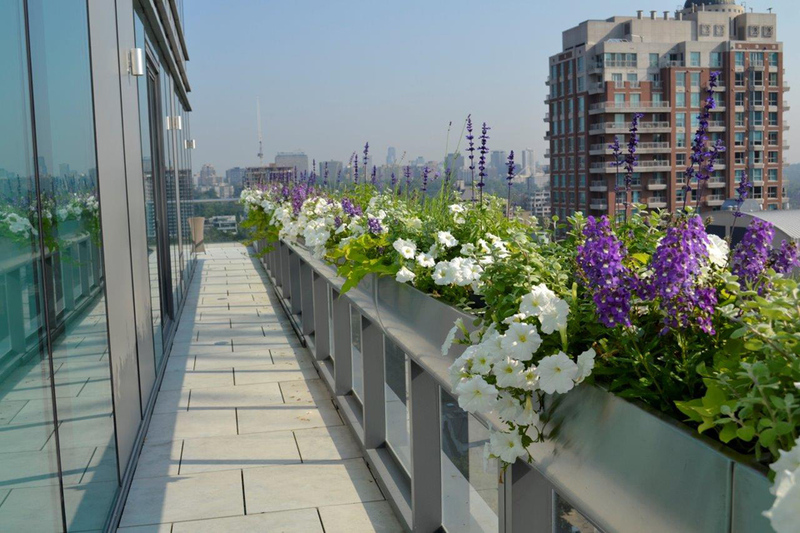 An urban garden Toronto is a great way to imbue your property with a sense of place along with a warmth and comfort level it might otherwise lack. M&S Architectural Ltd can transform what space you have into something greater than the sum of its parts. Let us show you how. At M&S Architectural we strive to work for unique and lasting designs that work for your own landscape setting. Working with your landscape architect or our own in-house design team you will not be disappointed in the results. We work hard to create that design that brings you out into your yard again and again. Design, construction details, planting layouts, financial budgeting, and project management complete services in design build construction saving you time and money. Allow M&S Architectural to provide you with a turn key quality landscape.